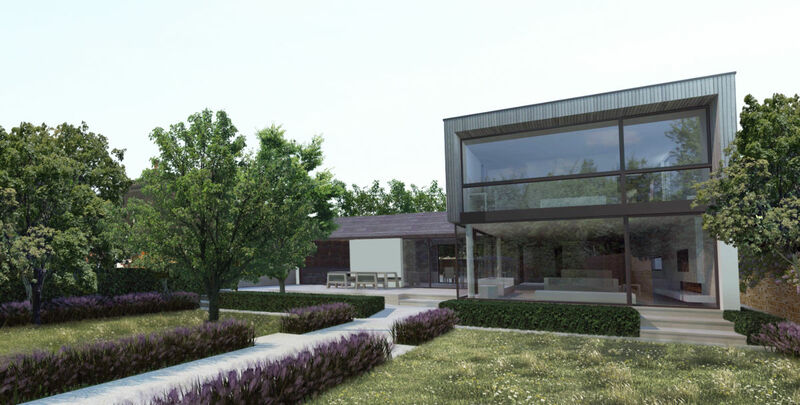 Development of a contemporary five bedroom country house set in the garden of a grade II listed 16th century farmhouse nestled behind a grade II* medieval church at the edge of a village within a conservation area. The design responds to the plan form precedent set by the historic village made up of elongated rectangular buildings tightly clustered and perpendicular to their neighbouring buildings, therefore reinforcing the distinctive pattern of development and character of the Conservation Area. The T-shaped form of the house reflects the neighbouring cottage and creates a walled courtyard garden to the north as the entry point to the site. 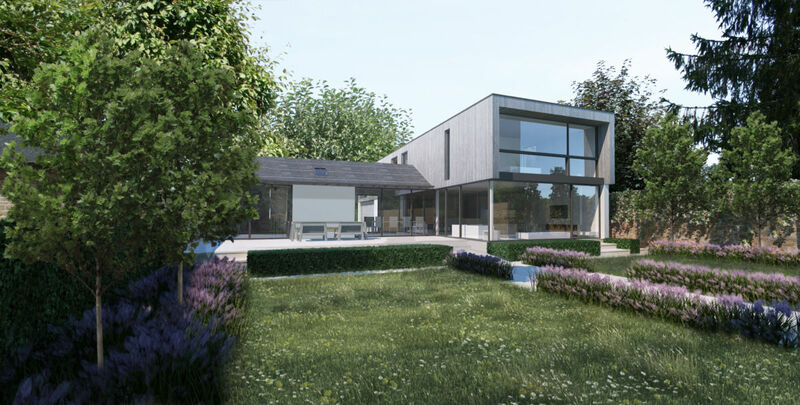 The dwelling is positioned in the plot to create a generous south-facing garden with long vistas across open countryside. 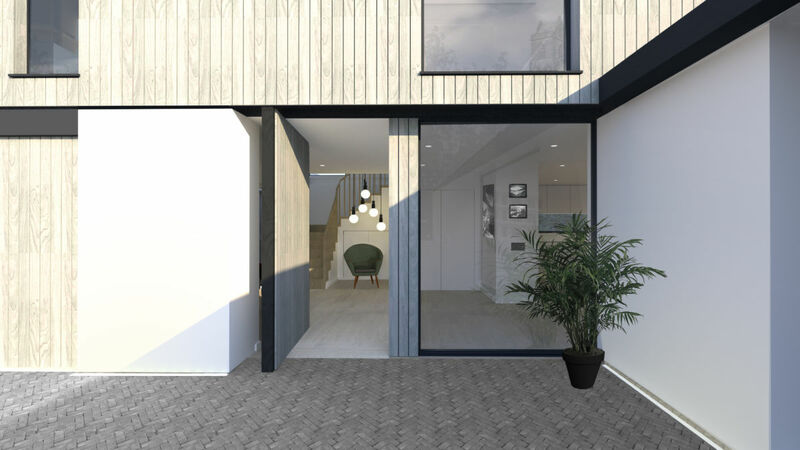 The design is inspired by traditional rural barns with features such as long, parallel, timber clad forms, as a simple and clear architectural idea that makes natural associations with the surrounding area, expressed clearly in the plan form and the elevated timber-clad volume. 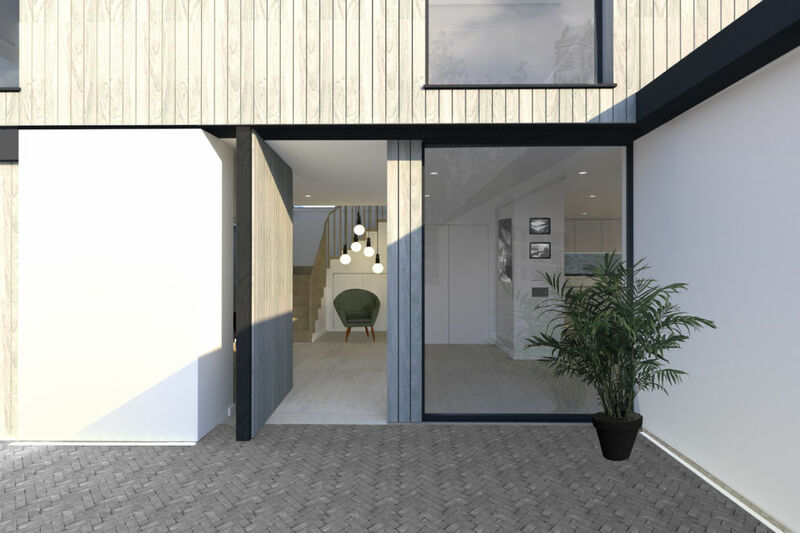 Like the adjacent listed cottage the layered construction method is visually communicated through the materials, including a masonry ground floor topped by timber framed and clad roof storey accommodating bedrooms to the east and open eaves to the west. 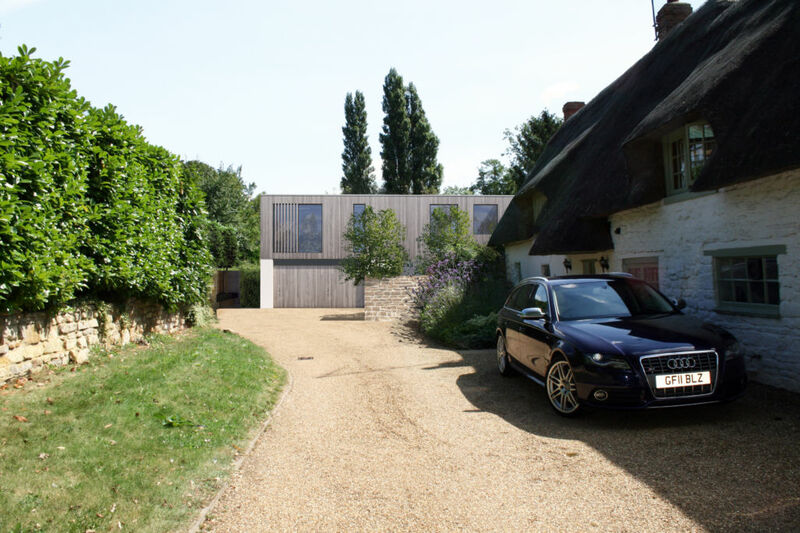 The first floor is timber clad, which has a synergy with cottage’s thatched first floor, being an organic, natural, and renewable material, similar in colour and which changes over time with weathering. 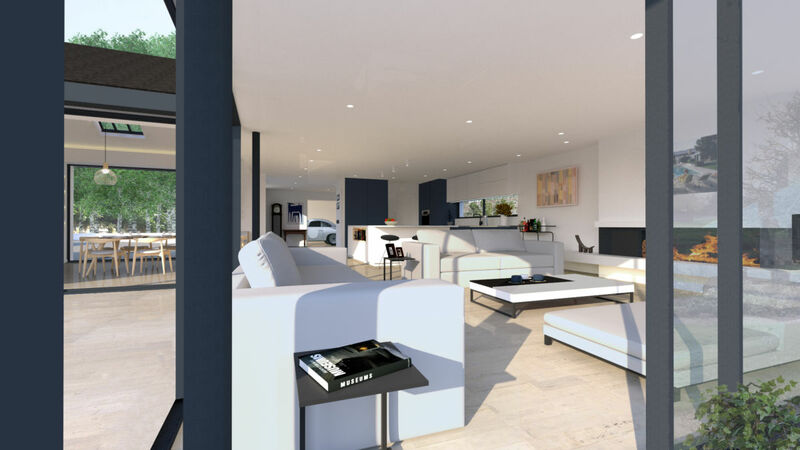 While clearly a modern building, the house also resonates with local architectural traditions. 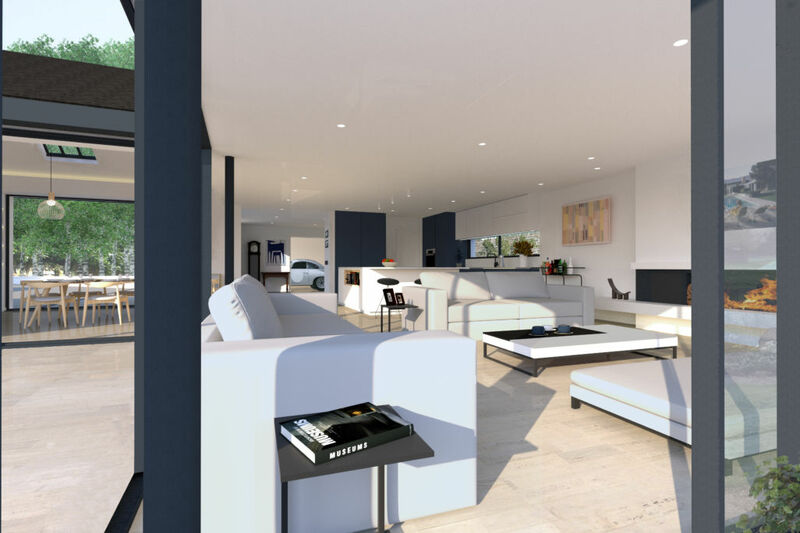 nestled beneath the upper volume to enjoy the views that open into the garden to create an inside-outside living experience while standing, sitting or lying. 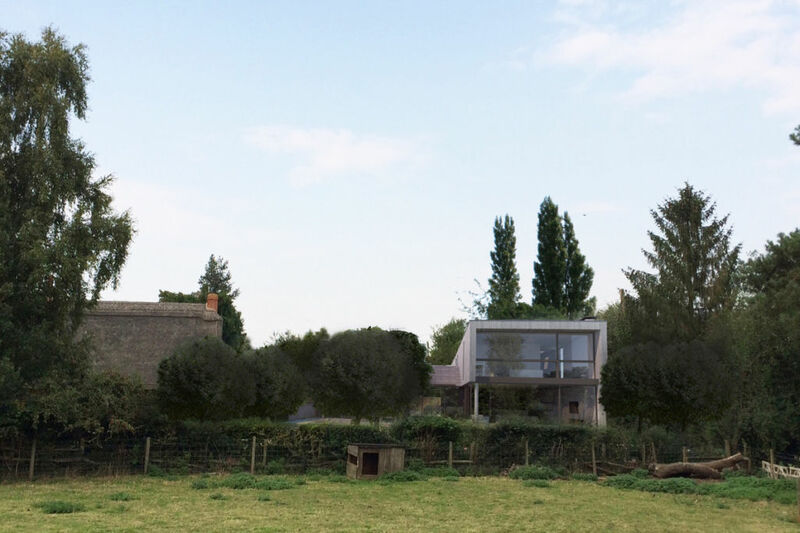 The first floor is a linear volume that floats on a north-south orientation containing bedrooms sitting beneath a green roof. 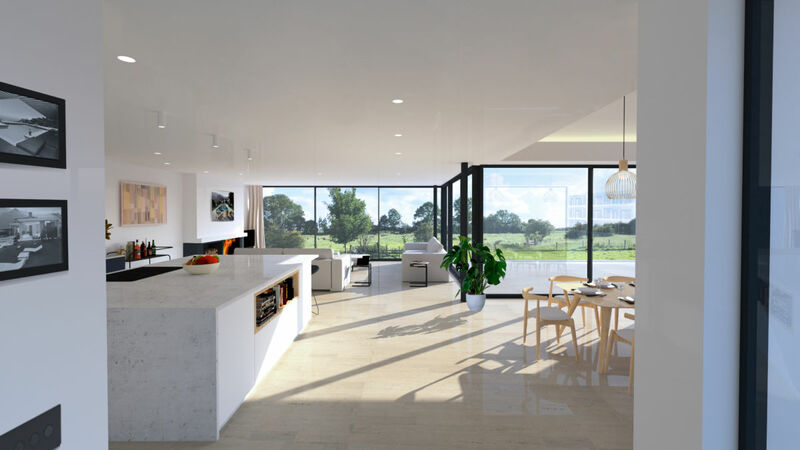 The house is designed with long views though spaces and orientated to visually connect the occupants with the outdoors from within the house. 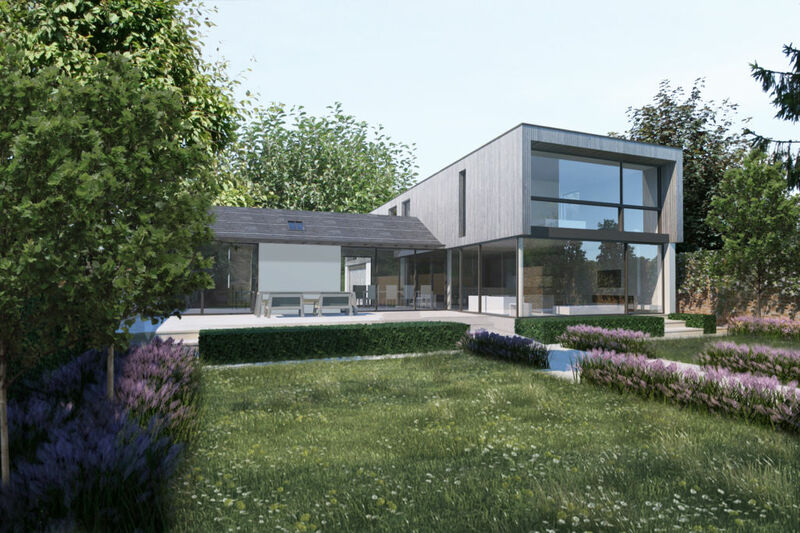 The layout is designed to create an open, flowing, functional, flexible and wheelchair accessible / inclusive dwelling with long views through the house into the garden and beyond. 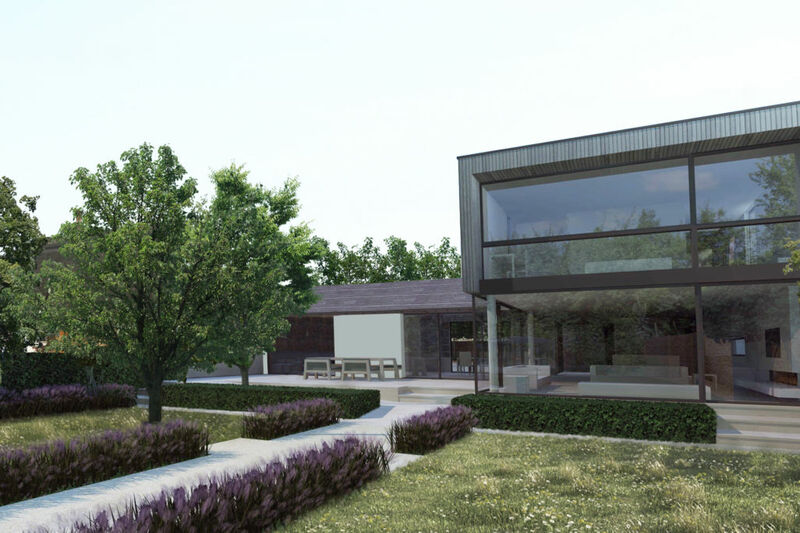 The house was designed to be fully accessible in response to the Client ’s condition of Motor Neurone Disease (MND), making the house a true Lifetime Home accessible to all. 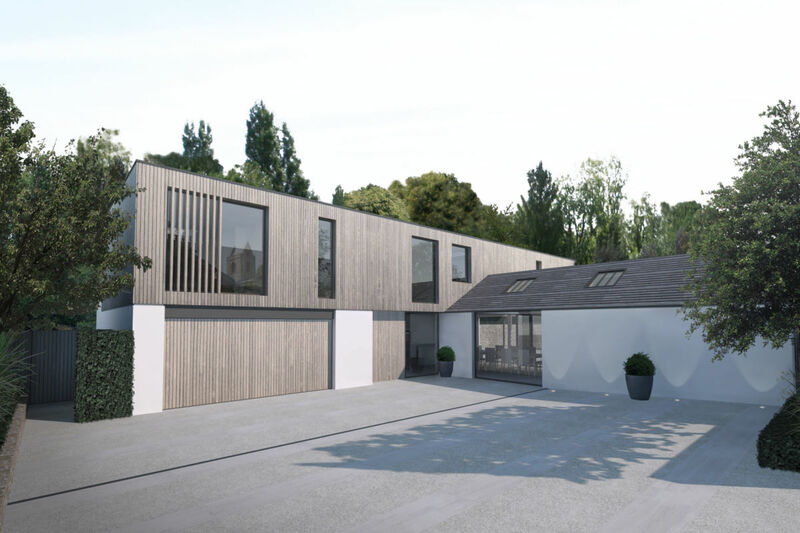 The house features a lift as well as a large ground floor bedroom with ensuite wetroom. Occupational Therapists and a Professor of Clinical Neurology + Neuroscience were consulted throughout the design process. English Heritage and CABE guidance were at the forefront of the design process to produce a work of high quality modern architecture, avoiding obvious borrowings from historic styles while striking a suitable relationship with the adjacent listed buildings in the immediate vicinity. 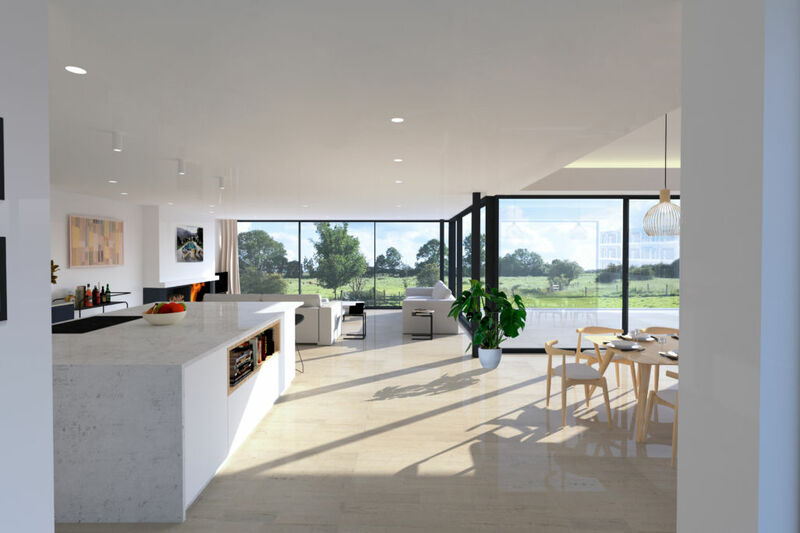 The house is designed to respect important views as well as create new views and juxtapositions which add to the variety and texture of the setting.